Opus No. : 68. (in collaboration with the company). Genre/Cast Size: site-specific, 6 dancers. Location & Date: JoshuaLegg/DanceProjects, Loudoun Street, Winchester, VA︱2013. 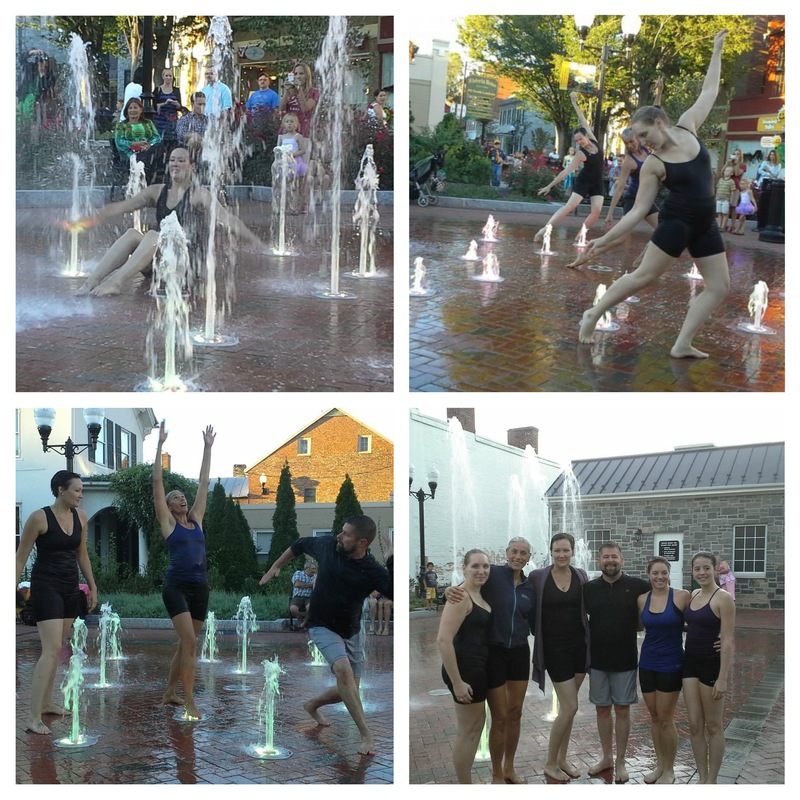 This site-specific dance was created in a splash pad with 28 fountains on a pedestrian walking mall. The work explored water as a location of community gathering, and as a source of joy. The performance was made possible by the City of Winchester and the Shenandoah Arts Council as part of the Arts Council’s First Friday events, September 2013.